In 1899, Camp Curry opened in Yosemite Valley, with inexpensive tent cabins and meals for visitors. Our children’s great-grandparents often stayed at Camp Curry in the summertime, along with successive generations in our family. No more. Camp Curry is now renamed Half Dome Village, starting March 1, 2016. At the Ahwahnee Hotel we had special family dinners to celebrate birthdays. At each season, the view from the Ahwahnee dining room was spectacular – flowering trees in spring, a magical snowy landscape in winter. Goodbye Ahwahnee Hotel, hello The Majestic Yosemite Lodge. Reason for the name change? Delaware North previously managed these hotels and properties in the park. When a new company took over the contract, Delaware claimed trademark and compensation for these historic names. So, for now, new names for lodging in Yosemite. 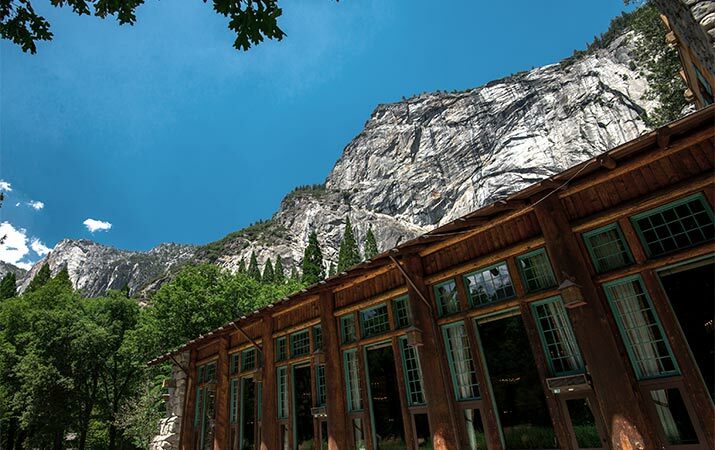 For a complete list of places to stay, check out our lists of Yosemite family hotels and Yosemite family house rentals.